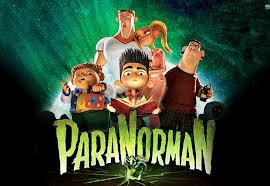 Matt and I went to see ParaNorman over the weekend and really liked it. The characters are cute, the story has a good message and there is a bit of adult humor thrown in. I do not like doing movie reviews because I do not want to give anything away - I will just say this: go watch it and have fun! I'm glad you liked it, I thought it looked cute but wasn't sure, now I'll see it for sure!